June and July are our rainy season in Japan. This year, God has sent us His showers of blessings. It is always exciting to see God’s hand at work. We thank the Lord for His wonderful blessings. Recently, two Sunday School girls, Ichika and Allison, accepted Christ as Savior. Both of these girls have a sweet spirit and tender heart concerning things of the Lord. Please pray that their relationship with the Lord will continue to grow. Daiju attended our church as a college student. He had grown up in a good church in Osaka. During his five years at Agape, his walk with the Lord grew tremendously. He brought many of his college friends to our church and became a great witness for the Lord. He became active in Sunday School: leading singing and teaching. We started a Bible study and he brought more of his friends. His heart was tender and he was hungry for things of God. It was evident God had something special for him. He felt like God might be calling him into the ministry, but couldn’t get peace about it. After Daiju graduated and returned to Osaka, we continued to pray for him. Last month, he called and told us he had surrendered his life to the ministry. He will be starting Bible School next year. Please pray for Daiju as he prepares for the ministry. Our youngest son, Jon, and his family (currently on deputation) are hoping to be in Japan by this time next year. Thank you for praying for them. We are thankful for many of you who have taken them on for support. 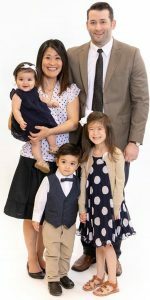 For several years, our second son, Matt, and his wife, Ai, have been praying about becoming missionaries to Japan. The Lord finally gave them peace about this. They will be starting deputation in August. 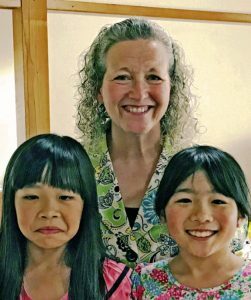 Please pray for them as the begin raising support to come to Japan as missionaries. The Japanese are the second largest unreached people group. There is a great need for missionaries and national pastors. As older missionaries, we are thrilled to see how God is preparing the next generation workers to carry on His work among these people we love so dearly. Thank you for praying for us as we continue remodeling our new building. We are making progress and hope to be finished with it by this Fall. We are excited as we anticipate more of God’s blessings ahead. Please pray for God’s continued showers of blessings on His work here in Japan.